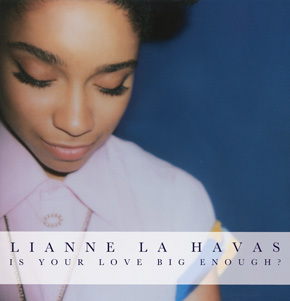 After wrapping up her North American tour a busy Lianne La Havas recently unveiled visuals for her acclaimed debut album, Is Your Love Big Enough? opening song "Don't Wake Me Up". The arrival of the visuals comes a little after a year of the stateside release of the UK singer-songwriter's debut release, yet the song and the album for the matter still retain a sense of freshness — a noteworthy feat in a music landscape in which releases are here in your ears on day and awash tomorrow in yesterday's news. Presented by Hunger TV, the artfully crafted visuals finds the subtly stunning soulstress delivering a magnificent vocal performance. Opening with La Havas singing on the screen of a television set, through the use of color the video finds an aesthetic contrast between carefree joy and deep untouched pain. Watch the video below and catch Lianne La Havas in concert across the pond as she wraps up her European tour with upcoming shows in the UK (V Festival), Finland (Helsinki Festival) and Wales (Festival No. 6). Anne-Marie returns with anticipated "Ciao Adios"
Chris Lake provides a fresh take on Aston Merrygold's "Get Stupid"